Thank you to all who auditioned for Georgia Dance Theatre! We were so proud to see such progression and talent from all who auditioned. Directors will be scheduling meetings with all students who did not make GDT this year to provide feedback and set goals for the upcoming year. Again, thank you to all for your interest in this scholarship program and congratulations! 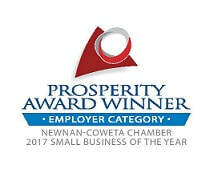 *Apprentice Company Members Classes will remain in their current classes at either the PTC or Newnan location. 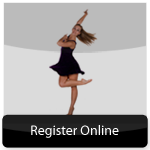 *Junior Company Members Classes will move to all PXI classes at the Peachtree City Location. *Senior Company Members Classes will move to all PXII classes at the Peachtree City Location. 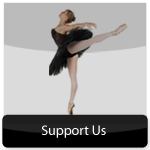 Georgia Dance Theatre is a non-profit dance company and scholarship program that holds yearly auditions for the serious dance student. Over $165,000 of scholarship funds are provided for these students each season. Auditions are held each season for the Pre-Professional and Professional Companies. Additional auditions are held in January and February for Professional Company members. Students must be at least 11 years of age and be enrolled in pre-professional (intermediate) level ballet, jazz and modern classes. 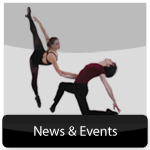 Georgia Dance Theatre has 3 pre-professional companies – Apprentice, Junior and Senior. Georgia Dance Theatre Professional Company consists of dancers ages 18 and above and these dancers are under a 11 month paid contract. Auditions start in January for Professional Company. Dancers must be at least 18 yrs of age and currently living in the US. Dancers are contracted for 11 months with opportunities to perform with professional guest artists from the Atlanta Ballet and from other companies throughout the US. Female dancers have a max height of 5'7". Additional opportunities are available for teaching and choreographing. Contact Director to request an audition class. or by clicking the button below! Georgia Dance Theatre members will be featured in our full- length ballets, contemporary and early childhood productions, Outreach Productions as well as GDT’s Nutcracker Ballet. Open Auditions are held in August for our Nutcracker Ballet. Ballet students are accepted from several area counties. All students are accepted and receive a role in Georgia Dance Theatre’s Nutcracker.